The terms and conditions let you know how you need to use the website of Amarawati Tea. It means that you are entering into an agreement with the company before browsing the website. You need to go through the agreement carefully. The company suggests its visitors to check for any updates or amendments made to the terms and conditions regularly. Changes to the terms and conditions can be made anytime and it solely depends on the discretion of the company. Terms and conditions are attached with several clauses. Any clause may be treated as invalid when it cannot be enforced as per the given situation. However, terms and conditions will remain into effect, as other clauses are still enforceable. You are required to check terms and conditions at certain intervals and ensure that you remain compliant with the terms. When you browse the site after amendments to terms are made, it is assumed that you have agreed to the revisions. Site means the online shopping platform of Amarawati Tea. The company owns and operates the site. The website allows the customers to purchase products that are listed and displayed on the website. User means you. The user also includes a customer who purchases the offer made by seller or vendor. The offer is made by the seller through the website of Amarawati Tea. Seller or vendor or affiliate means a legal entity or a person who makes an offer for sale. A person or legal entity arranges for auctioning the products on amarawatitea.com. Amarawati means Amarawati Tea Company Limited. Products refer to services or goods displayed on the site. Those are offered for sale or use. This site is a place where users meet and interact with each other for making a purchase or carrying out sale. Amarawati plays the role of a facilitator for fulfilling contractual or commercial terms that are agreed between sellers and buyers. The contractual or commercial terms include the medium of delivery, period, date, shipment costs, price and warranties related to services and products. The contractual terms also cover after sales services. The seller may change terms of after sales services in future. The agreement made between you and Amarawati Tea is subjected to the following terms and conditions. The terms and conditions surpass all previous understandings, representations or agreements. The terms will remain into effect despite submission of other orders that have different terms and conditions. You are bound to follow the terms and conditions when you use the shopping services of the company. The user should disclose that he or she has reached 18 years-of-age. The user should have the consent of a legal guardian or parent before using the site. If a user has accepted to buy any service or product from the company, he or she should complete the transaction. If a user is not interested in buying the product or service, he or she should not accept the purchase terms. Prices stated are in Indian currency. The company is not liable for breach or non-performance of any contract that has been made between the users. Amarawati Tea will not provide warranty for marketability, worthiness, quality, etc of services or products that have been offered for sale on the website. If the company finds that a user has placed an order for a product with incorrect price, then the order is subjected to cancellation. The order processing may be canceled after payment is made or the order is confirmed. If the payment has been processed, the amount will be credited to your bank account. The company will notify you regarding this development through email. When you are entering into an agreement with another user of the site, you are suggested to check his or her credentials. Amarawati Tea cannot be held accountable for any omissions or errors committed by its third parties or sellers. When a transaction takes place between a seller and a buyer, Amarawati Tea will not take services or products into possession. The company will not hold any claims, rights or title when a seller offers products or services to a buyer. The company will not take the responsibility of resolving disputes that may surface between a buyer and a seller. Amarawati Tea cannot be held accountable for delayed or unsatisfactory performance or non-delivery of products or services. The company cannot be held responsible if the product ordered is out of stock or has been damaged during transit. Offers are made based on the supply and time. The vendor is responsible for dispatching the product to the buyer. After the order is placed on the website, requests for the cancelation of the order will not be entertained. When you have chosen to pay by credit card, ensure that the card belongs to you. The company will not be responsible in case any untoward incident takes place with a credit card. The responsibility of using credit card lies with the user. The responsibility to prove oneself free of guilt lies with the user. The time of delivery starts after the receipt of the payment is confirmed by the company. The vendor mentions the delivery time of the product in approximate. The company will not be responsible for non-delivery or any delay of purchased goods due to wars, fire, flood or other natural calamities. If a user has made mistake while providing contact details and it has resulted into non-delivery of product, then he or she will be charged an extra fee for re-delivering the product. Currently, the services of Amarawati Shopping are provided free of cost. However, the company may levy a fee on such facilities in future. Amarawati Tea only plays the role of a booking agent for facilitating or integrating transactions between sellers and purchasers through various platforms. The company will not be responsible for replacement, damages, losses, quality or taxes levied by the seller. In no circumstances the officials, employees, representatives and directors of Amarawati Tea will be held accountable for the damages incurred to the product sold through its different platforms. The user should agree to use the services offered by Amarawati Tea and its consultants, affiliates and contacted companies for lawful purposes only. The company cannot be held accountable for any damage suffered by users while services provided on the website. This without limitation includes loss of data or revenue resulting from delays, missed deliveries, non-deliveries or omission made by the vendor. The repudiation of liability also applies to any injury or damages caused by any error, interruption, omission, defect, deletion, delay in transmission or operation, failure of the communication line, computer virus, unauthorized access or destruction or theft, tortuous behavior, breach of contract, negligence or failure of performance. The user needs to furnish true and authentic information to the company. The company reserves the right for confirming and validating the information and other details at any point of time submitted by the user. If the company finds that the information provided by the user is not true, then the company can cancel the registration of the user and prevent him or her from using the services listed on the website. After the receipt of the consignment, if a user finds that it has been delivered partly, then the matter has to be brought to the notice of the company within ten days. Delivery of order is carried out as per the address furnished by the user. A user is not allowed to cancel a request. Amarawati Gift Certificate issued by Amarawati Tea will be delivered to the email address, which is mentioned in the billing address. Amarawati Tea reserves the right for canceling any order that has been placed by using credit card bearing international billing address. For reporting defects within the warranty period, the buyer has to communicate with the service center of the manufacturer. Amarawati Tea cannot be held accountable for any refund claim. Amarawati Tea may levy octroi charges on some products that are listed on the website. The customer has to bear these charges and in no circumstances, these charges will be refunded. If the order is canceled, then also these charges will not be refunded. While acting as a merchant, Amarawati Tea cannot be held responsible regarding damage or loss that arises indirectly or directly due to the decline of authorization for a transaction. Authorization can be stopped if the value of the order exceeds the credit limit. A product may be listed with an incorrect price. A product may also be listed with incorrect information because of a typographical error. The company holds the right for refusing or canceling any orders placed for the product listed with incorrect price. If your credit card has been charged or order has been confirmed, the company can cancel or refuse your order. If your order is canceled under such circumstances, then the company will provide an equivalent credit to you. For allowing customers to make payments for their purchases through amarawatitea.com, at the request of the sellers, Amarawati Tea has provided digital payment gateway facility. This kind of facility helps you to make payments to your seller through debit or credit card, provided you have accepted the terms and conditions of the payment gateway service provider. It is clear that Amarawati Tea does not collect money from the buyers directly. The online payment gateway facility conducts every transaction. You need to go through the description of products carefully before placing your order. When you place an order, you have to know that you are agreeing to the terms of sale. Amarawati Tea and its seller or vendor will provide accurate details of the products as much as possible. However, Amarawati Tea will not provide a guarantee that prices and descriptions of products be accurate, reliable, complete or free of errors. 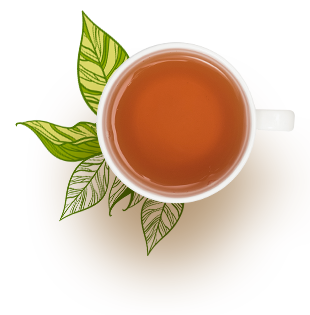 A product is displayed on the website of Amarawati Tea on behalf of the seller. If you find that the product delivered to you is not matching as per the description, then you can return the product to the seller in unused condition. If the seller or vendor has processed the payment of products that has been returned, then the refund amount will be credited to your debit or credit card account. You will be informed regarding this matter through email. Prices of products displayed on the site are inclusive of facilitation fee and service fee levied for making payment. A customer may opt to pay through another mode. In that case, the service fee levied for making payment will be adjusted with the overall payable amount. Customers who choose to make payments with international or foreign cards should note that the digital payment gateway facility accepts payments in INR, Euro, GBP or USD. The amount displayed on the site is the value of each product. The price of a product is calculated with the prevailing conversion rate if a customer wants to pay for the product in foreign currency. If there is a case of refund, the amount is calculated as per the conversion rate. The difference observed while refunding takes place is because of the fluctuation of conversion rate. In some cases, a credit card issuing company levies transaction charge on the international card if there is refund. The issuing bank finalizes the applicable charge. Amarawati Tea will refund those amounts that are calculated in INR. The company will not take any responsibility if any charge has been imposed by the bank for carrying out the foreign transaction through credit card. As per the discretion of the company, the prices and availability of products may change anytime. The company is not obligated to notify customers regarding those changes. You can make a purchase at Amarawati Tea’s site by using a credit card. However, you have to confirm that the details of the credit card used by you are correct while making transactions through a payment gateway facility. You should not use debit or credit card or bank account that does not belong to you. The details of your credit card or debit card provided by you will be kept confidential by Amarawati Tea. The details will only be shared with third parties and affiliates when your order will be processed. The seller or the vendor cannot be held accountable for any financial loss, mental distress or inconvenience that may take place due to misuse of your account details, credit card number, password or ID. A user has to acknowledge that Amarawati Tea plays the role of a facilitator through this website. The company aims to offer the highest quality of services through its site to the users. The company does not offer any warranty that services offered through this site will be free of errors. The company is not responsible for rectifying the defects and making the server free of viruses or other malicious components. However, Amarawati Tea will ensure that users experience the maximum satisfaction from using this site. Amarawati Tea cannot be held responsible if there is a deficiency or lack of service, unsatisfactory fulfillment or non-fulfillment of products and services bought by a buyer from the third party. Therefore, Amarawati Tea will play no role regarding the arrangements made between the users of the website, related with the standards of services and products. In no circumstances, Amarawati Tea shall be accountable for any indirect, direct, incidental, punitive, consequential or special damages. The company will not be responsible for other damages that may take place from the cost of receiving substitute services and products, inability to use or use the services and products, unauthorized access to data, alteration of user’s data, matter related to service, damages for loss of use or damages incurred due to poor performance of the site. Amarawati Tea cannot be held responsible if the site is not available for use during the maintenance period. The company is not responsible if the activities of the site are suspended due to technical reasons. The user has to understand and agree that any data or material downloaded from the site is done entirely at his or her risk. The user will be responsible if any damages occur at his or her computer. You have to know and agree that Amarawati Tea offers hosting services to its sellers or vendors through this site. The company also offers the order-tracking facility to its users after they have placed their orders with the vendors or sellers. The information on order tracking is related to third party user generated content. Amarawati Tea does not activate the transmission of such information. The company does not choose sender and receiver of the information. Amarawati Tea cannot modify the information related to order tracking. Amarawati Tea cannot control third party user generated contents and cannot be held accountable for that. The vendors or sellers registered with Amarawati Tea provide order tracking facility free of cost. Sellers should ensure that they provide the information in an authentic manner to their customers. However, inaccuracies may occur while transmitting the information to the user. A user has to register with the site before receiving the services offered through the website. The user has to agree that he or she will keep his or her user ID and password confidential. The user will be wholly accountable for all the activities that take place by using the user ID and password. The user has to agree that he or she will not use password and user ID of another party. If the user does, then he or she needs to seek approval from the other party. It is the sole responsibility of the user to protect his or her user ID and password for receiving the services from the site. The user has to confirm that he or she is the approved holder of credit card or genuine account holder while making transactions through this site. Amarawati Tea will not be responsible for any inconvenience, mental distress, a financial loss that may take place due to misuse of user ID, credit card number, password and account number of the user. The user has to note that he or she should immediately inform Amarawati Tea if his or her user ID and password is misused. The user needs to ensure that after using the site, the session should be logged off properly. The company will not be responsible for any indirect or direct damage or loss taking place if the user fails to abide by the navigation laws prescribed herein. The user needs to furnish accurate, genuine and complete information about himself or herself. The user is also required to provide information of his or her beneficiaries as stated in the registration form on the site. If required, the user has to update the registration details for keeping them current, true, accurate and complete. Amarawati Tea can suspect a user if the information provided is incomplete, inaccurate and fake. In that case, the company can terminate or suspend the registration of the user. In addition, the company will not allow the user to use the site for receiving its services. In addition, a user allows Amarawati Tea to furnish registration details to third parties for processing the order. You are not allowed to display, host, modify, upload, transmit, publish, share or update any information provided on the website. The company does not allow you to post content on its site, which is defamatory and can hurt religious sentiments. The company will not allow users to share contents that are blasphemous, harassing, harmful, obscene and pornographic. Users should not post contents that can breach others’ privacy, promote gambling, money laundering and other unlawful activities. Users are prohibited from posting contents that can harm minors. The user needs to avoid posting contents that can cause a violation of any law in effect, infringement of copyright, trademark, patent and other proprietary rights. Users are not allowed to post or share contents that can impersonate another person, mislead or deceive the addressee regarding the source of such messages. Contents that are offensive and have chances of becoming menace should not be used on the website. Users are suggested to avoid uploading contents that threaten the defense, integrity, unity, sovereignty and security of India. Contents that can stop the investigation of any offense, disrupt public order, insult or ruin relationship with other nations should be avoided. Those contents should be dropped while hosting that can affect computer programs and files, and contain software viruses. Contents that can ruin the functionality of a computer resource should be avoided. Amarawati Tea reserves the right for refusing service, suspending, restricting or terminating your account. At its sole discretion, the company can suspend the access of the user to its site, terminate the agreement, delete the accounts of the user, remove any service or product displayed on the site, enforce practices that are concerned with the usage of the site. The user has to agree that Amarawati Tea may terminate user ID of the user or restrict access to the site without issuing the notice. The company can also terminate the account of a user after receiving requests from government agencies. You have to indemnify and prove that you will not cause harm to the parent company, its affiliates, subsidiaries, third parties, directors, officers, employees and agents from any demand or claim, or actions including reasonable fees of lawyers, made by any third party. You cannot claim from the company if there is a violation of the user agreement. None of the terms and conditions, notices and provisions of this agreement or the approval for using the site by the user contained herein, any pages or other sections of the website or linked sites, will be deemed for constituting a partnership between Amarawati Tea and the user. A party cannot prove its authority for binding and will be considered as an agent. It should be brought into the notice that if user uses the site and approves Amarawati Tea and its agents for accessing third party sites that are designated by them or on their behalf to recover the information being requested, the user will be considered to have hired Amarawati Tea and its agents as his or her agent for this intention. The headings and sub-headings included in the agreement are meant to offer convenience to users and for conducting proper identification. The subheadings and headings are not meant for interpreting, describing, defining or limiting the scope, intent or extent of this service. These are also meant for limiting the right of using the site by the user. The headings do not aim to limit the scope of pages of the site or any other linked websites. The terms and conditions when presented with other terms can be treated as entire agreement. The entire agreement can surpass any previous agreements or understandings made in written or oral form. The entire agreement may not be modified or amended except in writing. The agreement may not be modified by making such amendments present in this website. Amarawati Tea is not accountable to the user for any delay or interruption that may take place for accessing the website. Amarawati Tea holds the power of establishing communication with users. The communication can entail the navigation behavior of user or information of any service or product bought by the user from this website. Every TOS and the agreement will be governed and framed as per the laws prescribed by the government of India. Each TOS will be governed without referring to conflict of principles, laws and disputes that may arise in regards to this document will be subjected to hearing at the courts based in New Delhi. Amarawati Tea is not responsible for any breach of copyright that may take place from the content transmitted or posted on the website. The company is not accountable for copyright violation of any items that are displayed on the website. If you have any objection related to any content posted on the website, you can let us know through the site. You are requested to furnish the following information while registering your complaint with us. A statement showing that the party, which is complaining, possesses a belief of good faith. The statement should highlight that the material that has been used is not approved by the law, copyright owner or its agent.